It came! It came! 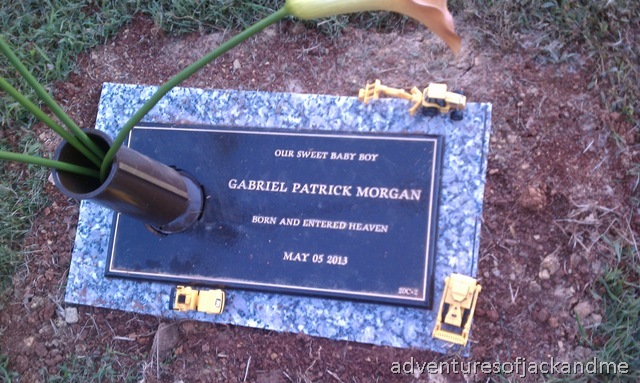 Gabriel’s marker arrived! We have been waiting since May for his marker. We ordered it the week after the burial, approved the layout and design in July, and have been waiting for it to arrive ever since. It was supposed to take 6-8 weeks, but in typical fashion for us, it did not go smoothly. 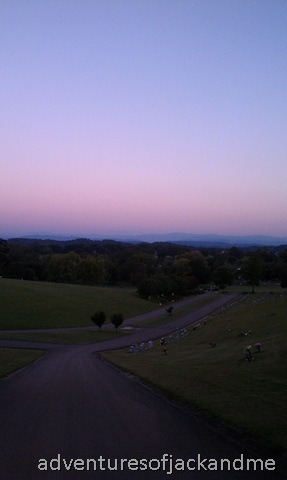 However, Monday I got the call from the woman at the cemetery who we’ve been working with that it was in. I love that it came in on the first day of fall! We will always get to remember that, and it was really special to celebrate the new season by getting his marker set. I was so excited that I declared the rest of the day would be a very special day. So I changed our plans, and instead made it an afternoon and evening of fun! Jack and I went to pick out a couple of pumpkins to get excited for fall. He got to pick it out and carry it around the store, too. And it even made it home in one piece. Then I fixed a frozen pizza and we ate it outside, having an impromptu picnic to celebrate. 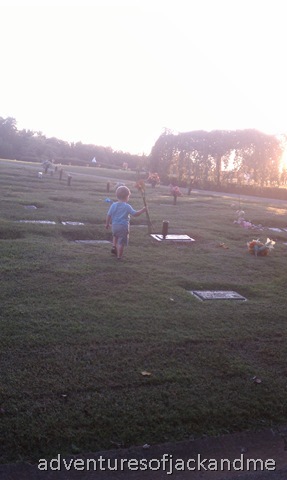 Then we headed over to the cemetery to see his stone. I had thought that it might be hard to see, that it might somehow make it feel more final. But it didn’t. It already feels pretty final, so that didn’t make it more so. In fact, I actually felt better seeing it. It felt really good to see his name there marking his spot. It looked beautiful to see his name written out – our declaration that this is our child who was here, was valued, was loved, and now he is in Heaven. Very important to us. So we were happy to get to celebrate that. The bad news is that the marker is crooked. It’s like looking at a picture hanging on the wall crooked. I noticed it right away. I’m a person who notices things like that. They are going to fix it for us. 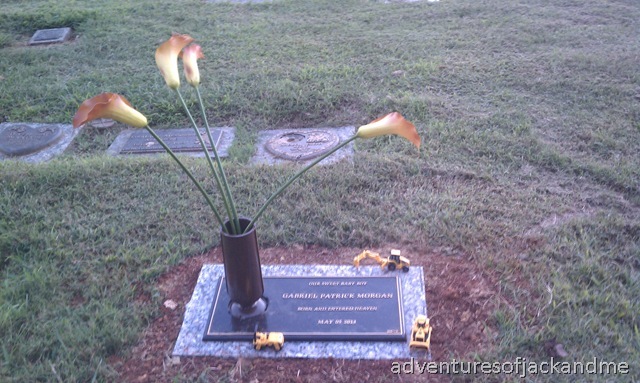 And actually the granite was cut poorly as well, so he is going to get a new slab of granite as well. It was frustrating, but the woman there seems to be on it to get it fixed and really there’s no point getting all worked up over it – it doesn’t change anything. Here are the pictures of it. And once he gets his new marker I will share the “perfect” pictures. 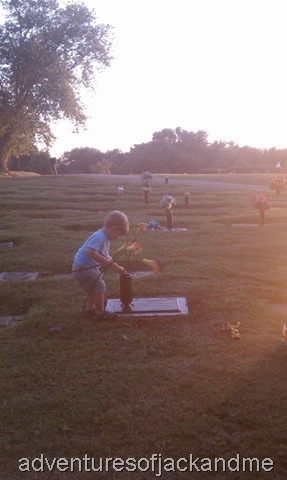 We had a great evening remembering our sweet Gabriel. 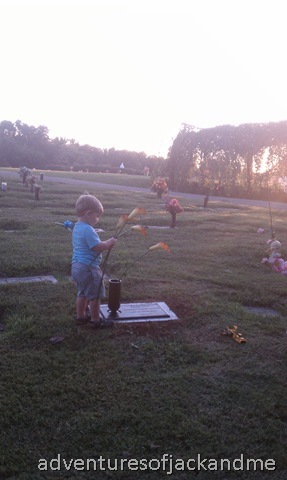 Jack helped us in celebrating his baby brother by placing new flowers in Gabriel’s new marker vase. 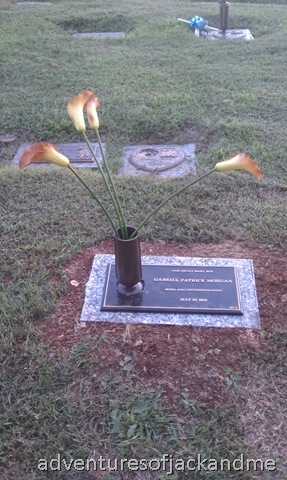 I picked out these calla lilies because they are the same flowers that were in our wedding. 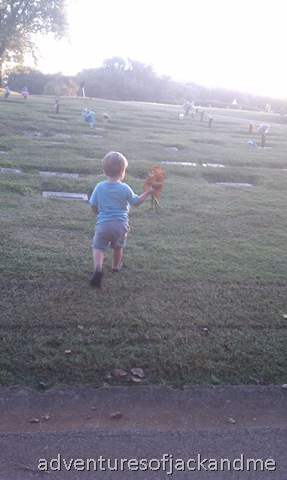 I picked out 4 to represent each one of us in our family, and Jack picked up on that as he handed a flower out to Tommy and me before he put them in the vase. Special, sweet memories from Monday. We continue to pray for you all. 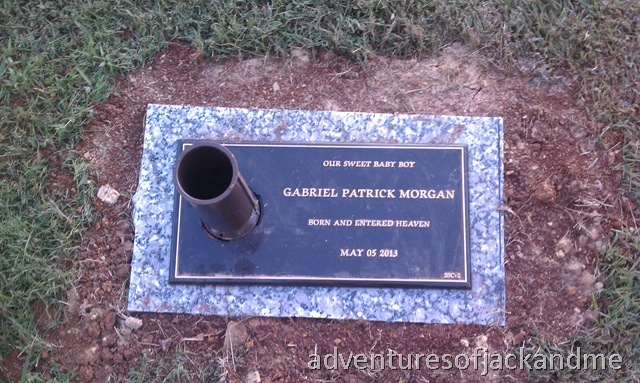 I love Gabriel’s marker.